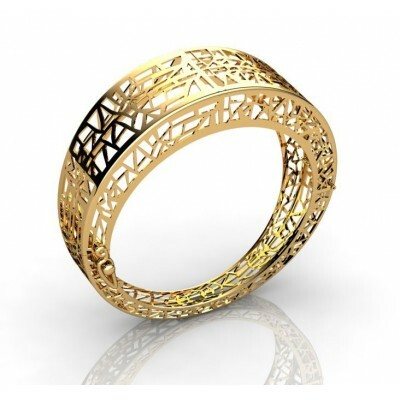 A classic combination of 19.5gr of 18k white and yellow gold combined with 109 brilliant of 2 mm with a total weight of 1. 57ct. Stone Quality: H-vs1. 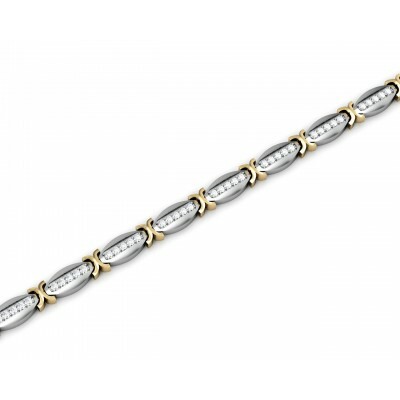 An exclusive design from Manuel Spinosa, this designer bracelet is made of 25.9gr of 18k Gold. 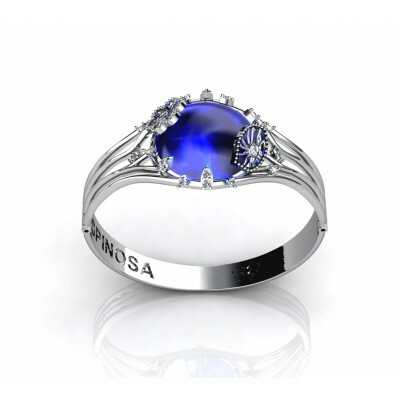 It's modern design is simply unique and one-of-a-kind, definitely made for women who value charm, class and elegance. 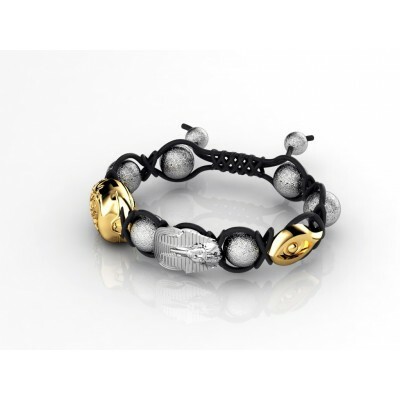 Inspired by the mystery and grandeur of Old Egypt, the bracelet comes with the scarab, pharaoh and the eye design, gold-plated and silver balls to fasten the bracelet. 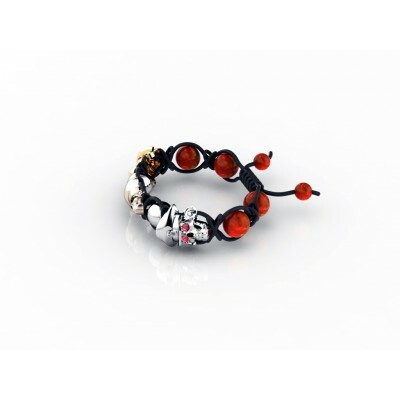 For anybody who wants to express themselves, this beautiful 3-skull bracelet would do the trick. 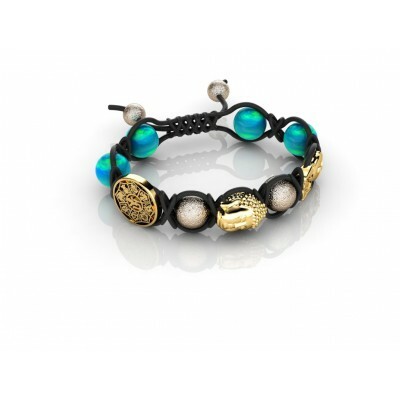 The bracelet comes with 3 skulls that are gold-plated and semi-precious gemstones. 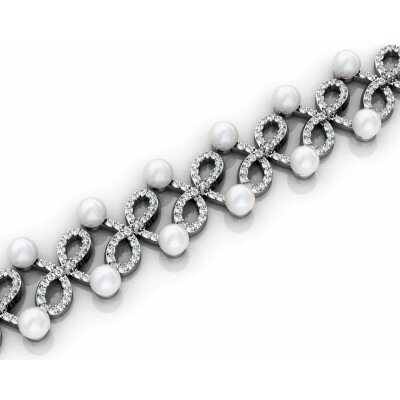 Breathtakingly beautiful, this modern take on a classic cultured pearl, The bracelet in 24g of 18k white gold finish with elaborate design containing 28pcs of 4 mm cultured pearls and 364pcs of brilliants in 1.20 mm for a total of 3. 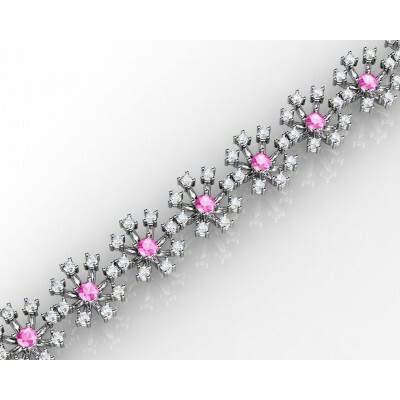 277ct quality H-vs.
Women's charming bracelet made with 57g of18 k white gold. 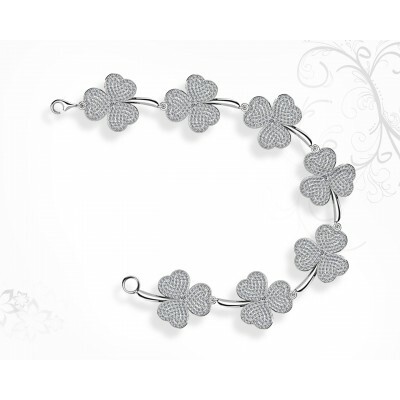 Inspired by the clover lucky charm and appeal, the bracelet contains 1008 brilliants 1 mm with a total weight of 5.04ct, quality H-vs and 7 brilliants of 2 mm with a total weight of 0. 25ct. Beautiful blue topaz bracelet made with 42 g 18k White Gold, 0. 92 ct of bright H-vs1 and a central Topaz 25 mm fused with an offering of carved flower design bringing harmonious and sensual elements of nature. 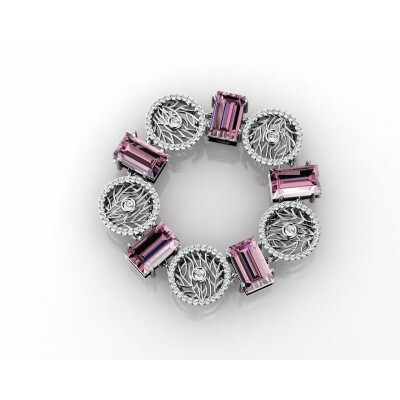 Beautiful Bracelet made of 15 gr of 18k White Gold and Brilliants with a total of 0.92 ct H-VS1 and 5 Emerald cut Amethysts. Modern bracelet with an avant-garde design. 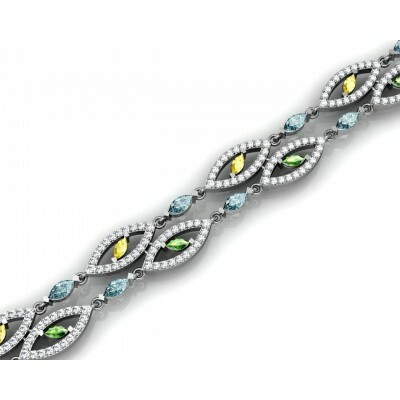 For the modern lady, this stylish 18k white gold bracelet comes with 3 types of semi-precious gemstones in marquis cut: Blue topaz, citrine and olivine. A modern design that will add spice and accent to just about any person who wears it, this simple and yet elegant bracelet contains charms as well as semi-precious gemstones giving it a personality of its own.